Why Do My Teeth Feel Weird Five Years After Bonding Them? A good smile is considered to be one of the most important parts of a person’s appearance. However, only up to 35% of American adults have teeth that are naturally well-aligned. As a result, many Americans with gaps in their front teeth may seek out the help of a cosmetic dentist for teeth whitening, dental veneers, or teeth bonding. Teeth bonding, in particular, is a common choice of cosmetic dentistry for those with gaps in their front or bottom teeth. However, those who receive teeth bonding treatments may find that their teeth begin to feel odd after a number of years. Why does this happen? Teeth bonding is when a cosmetic dentist uses a type of resin to create the appearance of two bonded teeth, or rather, that the present gap between the teeth does not exist. Like teeth themselves, the dental bonding material that closes the gap between your teeth can begin to break down after years of wear and tear. Some patients may see discoloration while others experience slight chipping. This is because the material that bonds your teeth is porous and can begin to wear down after five to seven years. What can I do to fix my teeth? Typically, the resin that bonds your teeth will need to be fixed or replaced after a minimum of five years. Porcelain veneers may be an alternative if you prefer a longer lasting cosmetic dental treatment. However, considering the longevity of the health of your natural teeth and fillings, the length of time your teeth bonding lasts is still positive rather than negative. What can I do to prevent my teeth bonding from chipping? Because the resin that bonds your teeth isn’t quite as strong as your natural teeth, it can chip more easily because of bad habits. These habits may include biting your nails, which can harm your natural teeth in the long run as well as the resin. 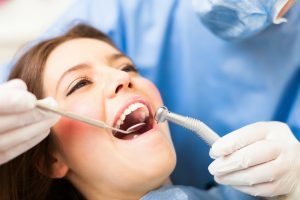 It’s also important that you see the dentist regularly not just for the health of your natural teeth, but for the prolonged life of your cosmetic dental treatments. Teeth bonding is a great cosmetic dental treatment for those looking to improve their smile. In as little as one office visit you can have the straight teeth you’ve always wanted. However, like most dental treatments, it’s important that you see your dentist on a regular basis to prevent damage and discoloration.